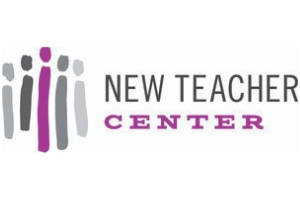 New Teacher Center is dedicated to improving student learning by accelerating the effectiveness of teachers and school leaders. We build capacity within districts and district partners to drive student learning, teacher effectiveness, and teacher and leadership development. We do this by providing PreK-12 teachers and school leaders with the skills and supports needed to create optimal learning environments that accelerate students’ academic and social emotional success. NTC did not have the time and capacity to dedicate to the procurement process. They were missing out on key opportunities around the nation and needed to act quickly. NTC worried about an external partner understanding their culture, product and offerings, and RYE needed to help them understand our consultative model, so they could execute efficiently without being a member of their staff. RYE led a Foundation in Education practice that enabled NTC to quickly get up to speed. Because many of them were classroom teachers, RYE used a model they understood—Professional Development—to meet their needs and share how they could help them be the best version of their organization. RYE offered support in their area of expertise: procurement. Not only do they understand the complexities of the procurement process, they intentional with their recommendations of potential opportunities. RYE developed a working understanding of NTC services and offerings, and alongside NTC, sourced opportunities that complemented their goals and helped them think about the intent of the RFP before responding. We established consistent operational practices throughout procurement process. Their partnership with RYE resulted in a significant increase in brand recognition in the market, and nationwide opportunities that brought NTC to new partners. With RYE at the helm, we have always hit our goals for every timeline, we have never missed a deadline, sometimes gotten ahead. Of all the RFPs that have been awarded, we lost one but have an 86%-win rate.